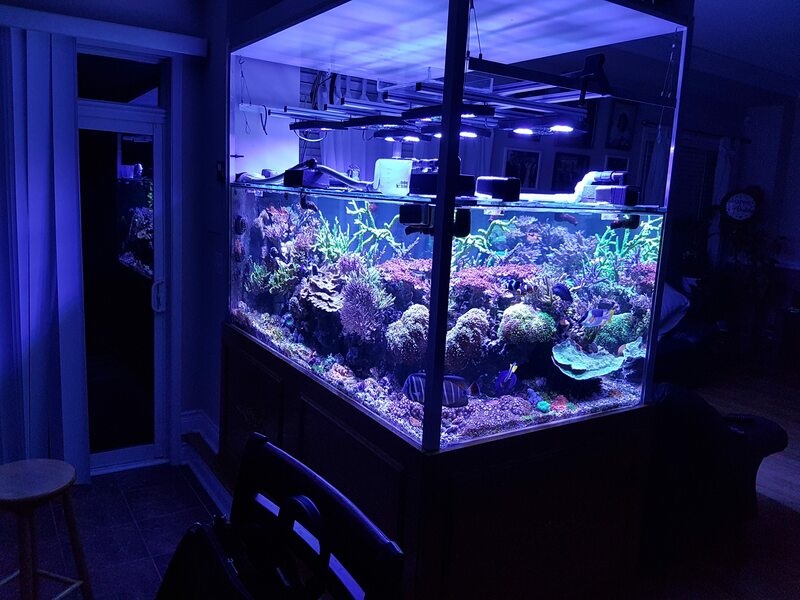 You got to check out this amazing 400 gallon SPS Dominated reef tank. 6 foot long peninsula style built by miracle aquariums in Ontario. The tank is nearly 10 years old and it easy to tell. Its super mature with many colonies larger than dinner plates. The glass is 3/4” thick all starphire with euro bracing. Its powered by an apex controller vortech pumps and panworld return pumps. 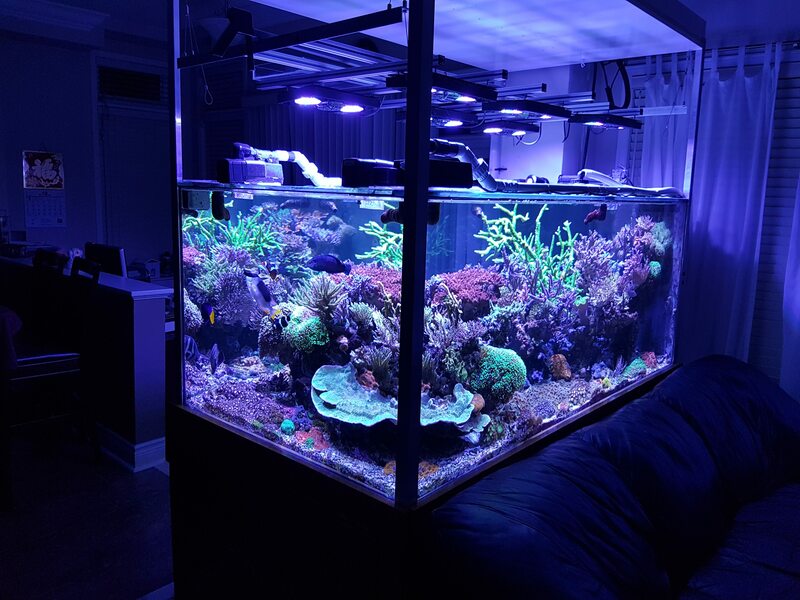 The entire system volume with dual sumps and frag tank is around 500 gallons.Beautiful thing is almost all of the sps house were grown from frags! 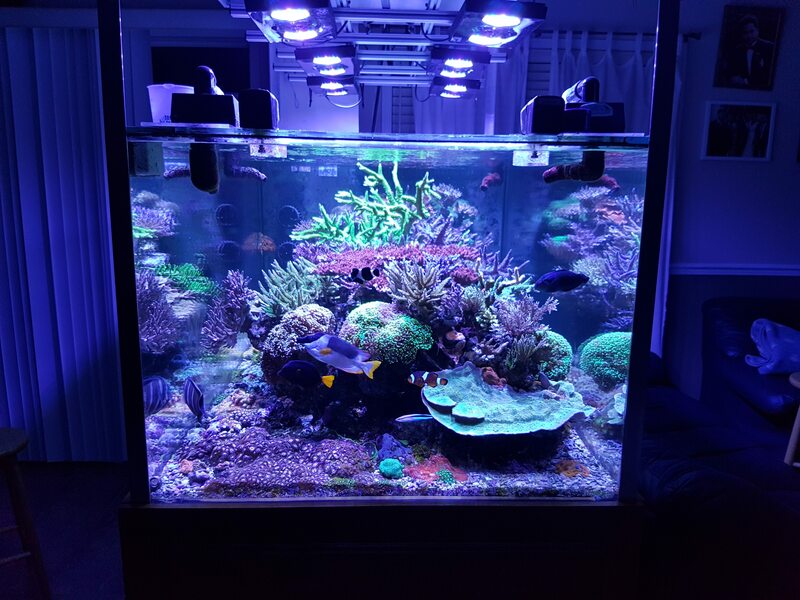 Always nice to see a ” sustainable” tank populated by frags and grown over time. Its currently lit with 6 radion g3 pros but previously had t5 and before that metal halide lighting. The fish are so large but don’t look as big as they really are because of how big the tank is. The bottom is compeltely covered in soft corals. Splashes of euphyllia can be found around the tank but the size, color and health of acropora are what really grab your attention. Hope you enjoy !